#selfie (n., 2002): an image of oneself taken by oneself using a digital camera esp. for posting on social networks. Notice anything special? First off, dubstep is on the list! That”s awesome! It is great that it is being recognized by Merriam Webster. 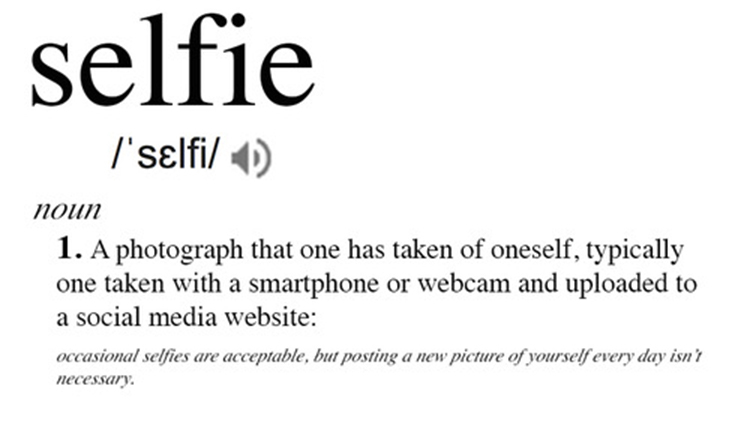 The one that The Chainsmokers claimed was #Selfie. Now, we all know they didn’t invent the word. The song came out on January 29th, 2014 where as the word came out on 2002, but The Chainsmokers made it extremely popular with (at the time of writing this) 112,267,511 views on their YouTube music video. People may hate the song, but The Chainsmokers are laughing their way to the bank with the 7 figure deals and their dictionary entry!